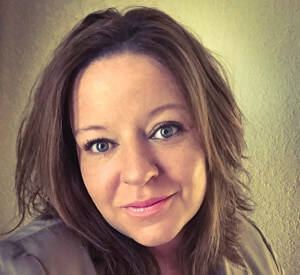 Jamie Martin leads the provider-facing communications for Louisiana Healthcare Connections, one of Louisiana’s largest Medicaid Managed Care Organizations. Her role is centered on educating the state’s healthcare providers about tools, resources and policies that support the delivery of quality, coordinated, integrated and accessible care to one of Louisiana’s most underserved populations. Jamie is also a successful freelance marketing consultant, lending her talents to private health IT companies in support of their mission to engage both patients and providers in the use of technology to improve outcomes while reducing costs. With specialties in social media, digital content and blog development, strategic communications, and consumer engagement, Jamie is dedicated to supporting health IT organizations in achieving provider and patient buy-in for health IT initiatives. Her experience also includes four years as the Marketing and Communications Manager for the Louisiana Health Care Quality Forum, where she led one of the nation’s first statewide, direct-to-consumer campaigns focused on engaging patients in the use of health IT to manage their health and health care. A former award-winning journalist, Jamie has spoken on topics related to patient engagement and health IT at state and national levels, including the 2017 and 2016 National HIMSS Conferences; the 2016 HIMSS Pop Health Forums in Boston and Chicago; the 2016 HITMC Conference; and the 2015 Gulf South HIMSS Conference. She holds a Bachelor of Arts from Southern Arkansas University, and has served on the university’s Alumni Foundation Board since 2012. She is a member of the National POLST Paradigm Social Media Committee, a die-hard Tweeter, a rabid Razorbacks fan, and a proud member of the #HITSM and #HealthITChicks communities.